The ebook is almost complete, the podcast has been started, and now for the blog. Here we go! 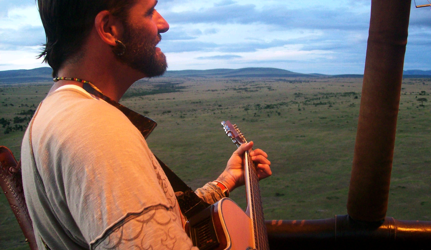 This is a photo I took of fellow Visionary Troubadour, Keith Kavisic, in a hot air balloon over the Masai Mara one morning. 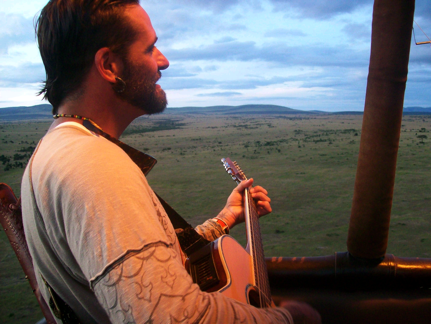 He sang as the sun rose… we floated over elephants, hyenas running with a fresh kill and other wildlife… breathtaking! More to come!